Enjoy a great day on the flight line! 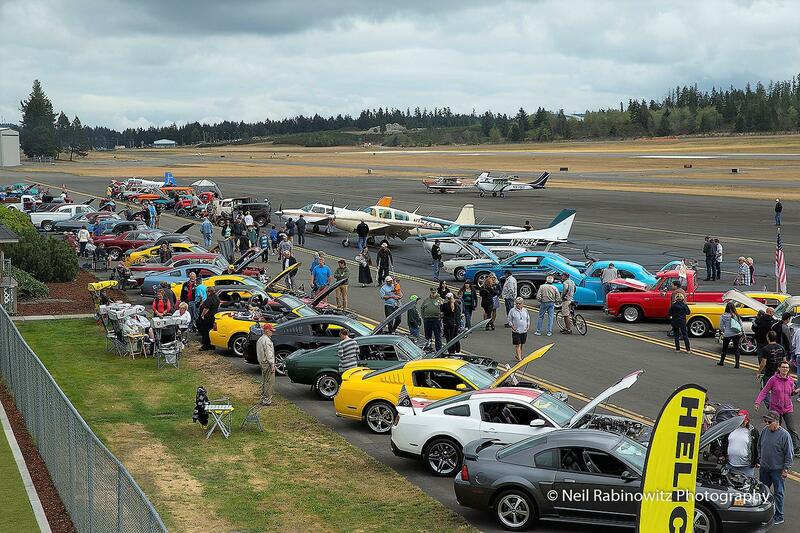 Enjoy a full day of activity during this annual event at the Bremerton National Airport. Helicopter and airplane rides will be available. Plus, FREE Young Eagles flights will be offered to those 8 to 17 years old with an interest in aviation. Mark your calendar for a family-friendly morning and afternoon of events on the flight line! Camping under your plane wing is available, details below. Questions? Contact please contact Doug Haughton at 360-710-3481 or fill out our airport contact form. Fly in a Historic T-6A! We're excited to have Historic Flight Foundation from Mukilteo WA bring these amazing war-time aircraft to the Fly-In! The program features a one-hour experience, half of which is in the air. WIth time devoted to a safety briefing and the history of the aircraft. WIth enough interest flights will be on the hour each other except for during the noon fly formation. Reservations are encouraged but not required for flights. For reservations or further information, visitorservices@historicflight.org or 425-348-3200. Single-seat conversions of the T-6 painted in Japanese markings as Mitsubishi Zeroes have appeared in numerous movies including Tora! Tora! Tora! and The Final Countdown. This T-6A features a thirty-caliber cockpit-mounted machine gun used primarily for gunnery training. Discounted rates - 135.00 per flight ($67.50 per person based on 2 person occupancy). Please note: max weight limit for two passengers flying together is 350 lbs. The planes cannot load any single passenger more than 250 lbs. Pilots are welcome to camp under their wing. Click here to view the PDF document with details.